Nuclear power plants in Germany (2013). Eight already shut down reactors are depicted in red. 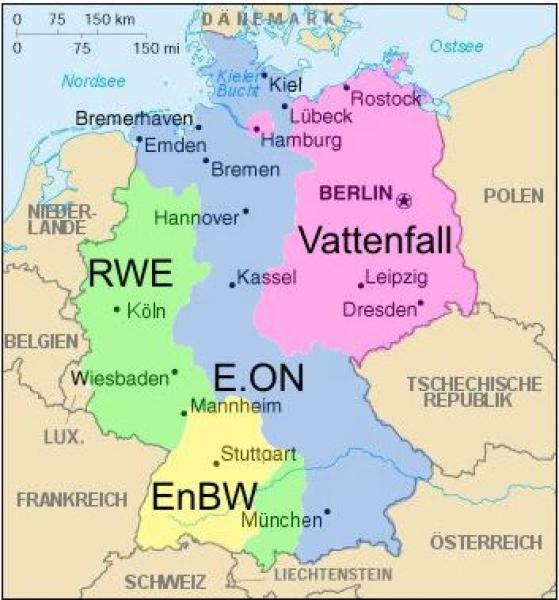 Heavily industrialized/densely populated regions which consume majority of energy are located south and west of Germany. However, majority of wind farms are located north.